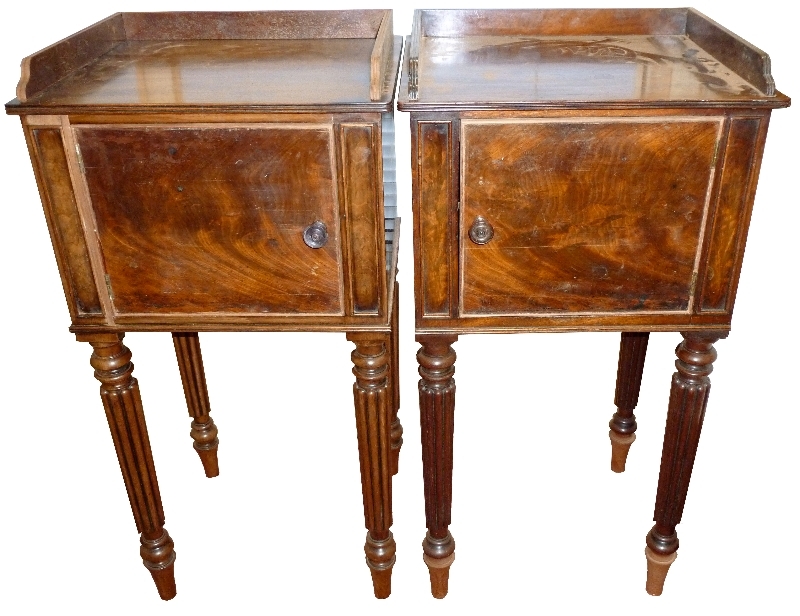 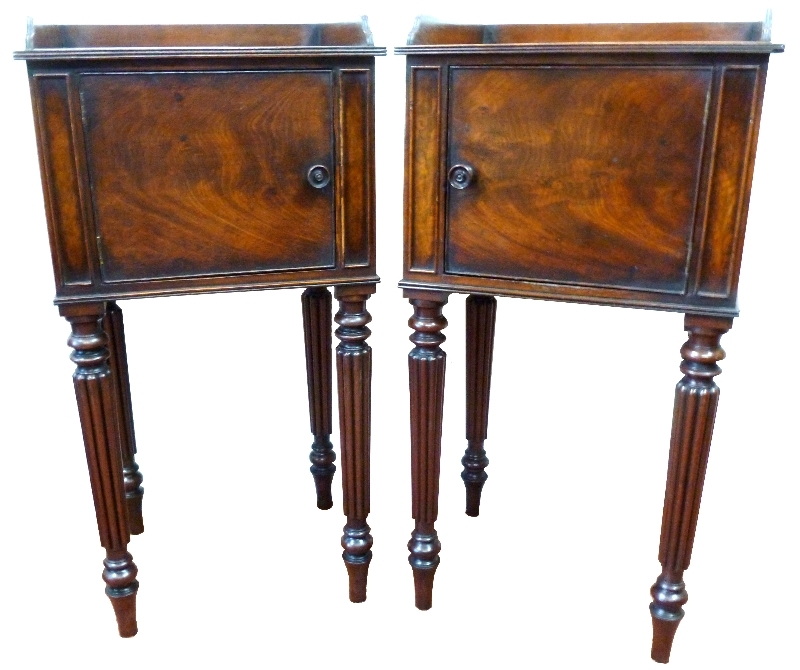 A matched pair of Gillows pot cupboards. 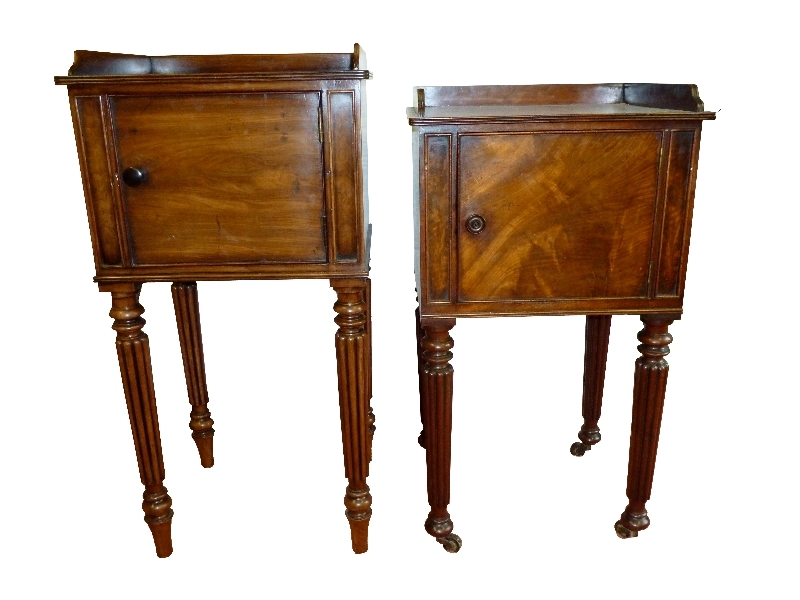 Reinstating losses to legs, replacing later gallery and re-veneering doors in period, salvaged veneer. 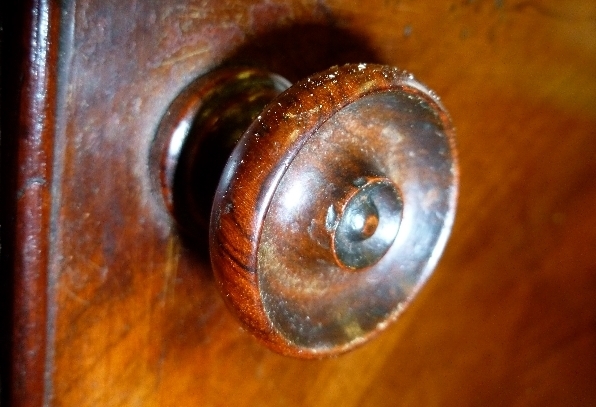 Manufacturing knob to match original.